Service Your Toyota. Protect Your Time. City Toyota’s Express Maintenance team is here to provide you with expert Toyota care in the least amount of time possible. Our “pit crew” approach ensures top-notch service without big disruptions to your schedule. 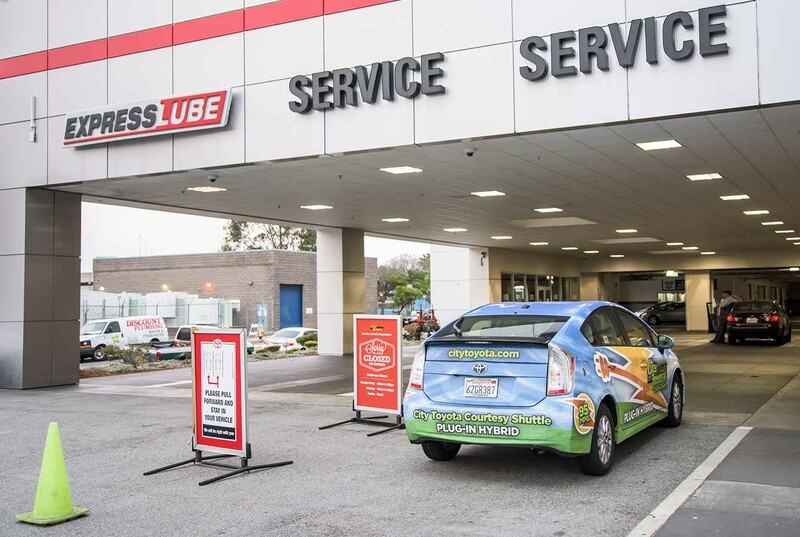 Express Maintenance focuses on factory-scheduled maintenance or repair items, including no-cost Toyota Care service visits. And, as with all City Toyota Service visits, you can expect only Toyota-trained technicians to be working on your vehicle, installing Genuine Toyota Parts.